This Taurus Rolling Organiser (112 Litre) is great for storage around the home or office. I store all my caravan bedding and stuff in this after the summer holidays as the odd mouse somehow gets in to check it out!! 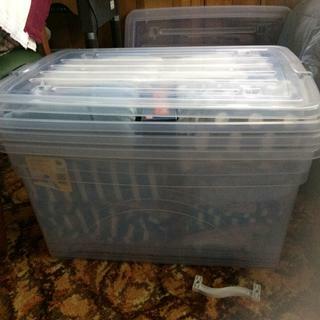 Good size, perfect for storage, but wheels don't really move well on carpet (too small maybe). like the other reviews, these are so handy for storing anything and everything. These clear ones are great. Are stackable. Brought x4 to pack away Winter gear. Very nice storage bin, the wheels make it very easy to move especially considering it is very large. The biggest size I could find and held the test of holding what I needed and a pack of 2 special is what I needed.worth the price. Size does matter. 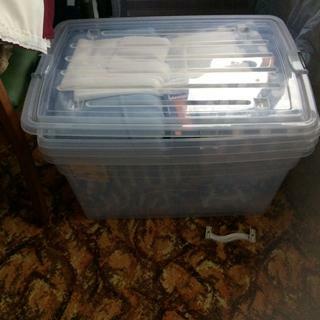 Storage bins gr8 for anything.They’r perfect 4 me.I store extra linen,towel etc,they’re light,pretty strong,& the good thg is can c inside them,don’t have 2 pull everything out,all got lids fit perfect,I got heaps of them,my son wants his caravan bk we use for storage so bin it the efficient,affordable way.